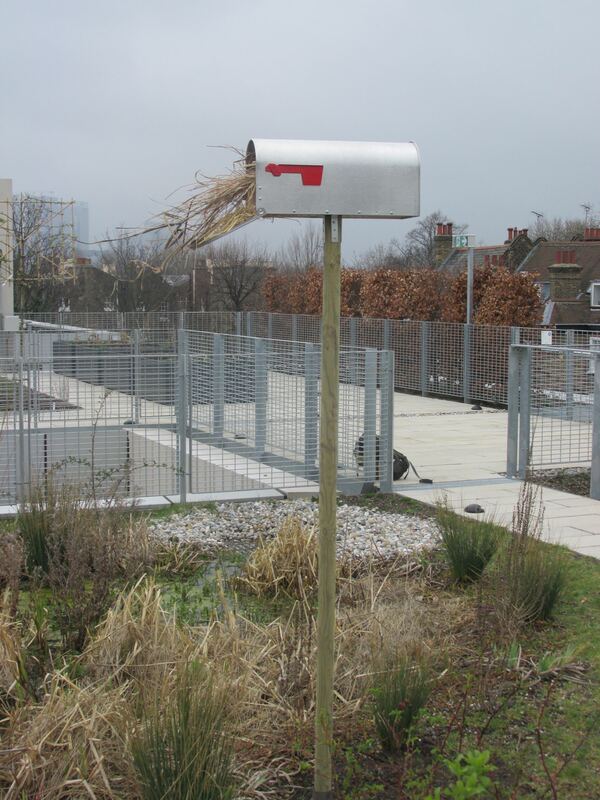 A duck house has been added to the Stockwell Street Roofs. The duck house is located to the pond and is raised 2 metres above the ground. The house itself is made out of a US post box. Both male and female mallard ducks are coming to the ponds but mostly separately. The chance of the house being use to lay eggs and raise ducklings may be slim but worth try. ← There are more than ducks on the roof!